No luxury home-and-garden tour in America is better attended than Seattle's own Street of Dreams. More than 80,000 people each year go to see innovations and trends in luxury home building, as well as landscaping and interior design. Be sure to mark July 15 through August 20 on your calendar. This year's building site is the Dodd Ranch at Allen Lake, located on the Sammamish plateau, just off N.E. 8th Street, east from 228th Avenue. Affiliated with the Street of Dreams since its inception nineteen years ago, the Children's Home Society of Washington will again benefit this year by receiving a portion of all ticket sales. The Society organizes the event's volunteer greeters and hosts. In 2005, the Street of Dreams raised more than $7,500 for the Make-A-Wish Foundation®. This year the Make-A-Wish Foundation® will provide a decoration theme for one room in each of the homes. An on-site bistro will be sponsored by the Street of Dreams committee, with proceeds financing a wish to be granted by the Foundation. Builders of last year's award-winning Chatham House, Parmenter Homes and Architects Northwest, return this year to build the $4.5 million House #3. 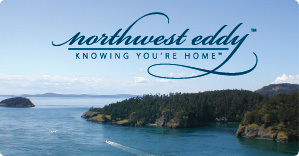 Northwest Home & Garden magazine will again participate in the event by sponsoring House #5, built by Design Guild Homes. The magazine plans to present one or more celebrity chefs with indoor and outdoor cooking demonstrations. See the Street of Dreams Show Participants page for more information on the builders and designers of these magnificent homes. Information on tickets, hours, and parking will become available on the Street of Dreams web site in June.